Canada Makes is pleased to announce the renewal of its Metal Additive Demonstration Program for 2017/18. The program is funded by the National Research Council (NRC) through its Industrial Research Assistance Program (IRAP) Materials and Manufacturing Sector Team (MMST). The goal of the program is to de-risk the initial trial and learn about metal additive manufacturing (AM) capabilities. Interested companies will be invited to engage with a working group expert in metal additive manufacturing who will assist in better understanding the advantages and business opportunities both in terms of cost savings and efficiency of metal AM. Once the project is deemed viable for AM and the SME is IRAP eligible a part is built and then sent to the participating SME to test. Canada Makes pays for the work. The programs goals are to create awareness and encourage the adoption of AM technology to improve Canada’s manufacturing and exporting sectors and develop of a Canadian metal AM supply chain. More than 100 companies from across Canada have participated in the first three rounds of the program and the renewal offers the chance for more companies to receive financing for a metal AM project. Interested companies are encouraged to view Canada Makes’ two interactive guides to learn more about metal AM. Canada Makes is pleased to announce its newest member, FusiA Impression 3D Metal Inc. of St. Laurent, Quebec. As a Canada Makes’ Additive Manufacturing Advisory Board (AMAB) member FusiA Impression 3D Metal Inc. will share their valuable expertise to help advance additive manufacturing in Canada. With more than 40 years of expertise, FusiA Impression 3D Metal Inc specializes in metal additive manufacturing (3D printing) of precision metal parts for the aerospace, space and defense and they have been a key partner for research and development projects of aeronautics for the past five years. 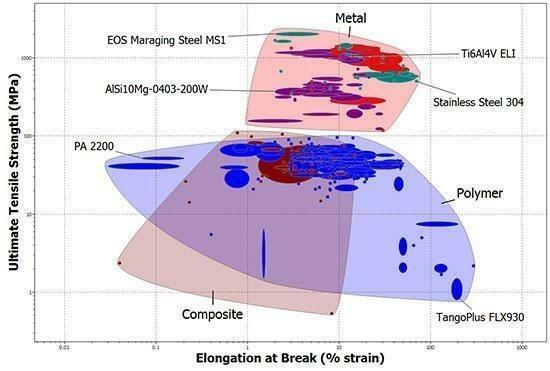 By Michael Molitch-Hou – There are many factors that will play into the ultimate shift of 3D printing as a technology for rapid prototyping to one of end-part manufacturing, but the one area of additive manufacturing (AM) that may stand in the way of mass adoption of 3D printing within the larger manufacturing supply chain is that of metal AM. Metal AM has the ability to produce intricate, streamlined components with physical properties that can sometimes exceed those of parts manufactured by traditional means. Consequently, the technology has the potential to completely shift the way that we fabricate critical components. With it, we can create lightweight objects with unique geometries capable of decreasing material waste and energy consumption. 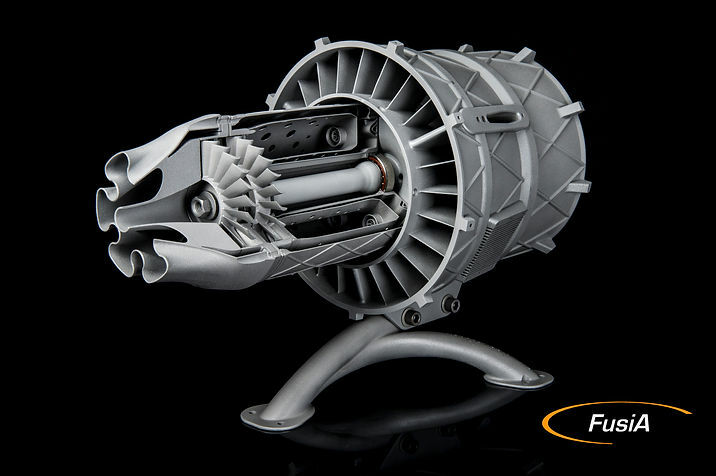 The paragon example now used to demonstrate the power that metal 3D printing can bring to manufacturers is the 3D-printed fuel nozzle for the LEAP jet engine, developed through a joint venture between GE and Snecma called CFM International. By redesigning the nozzle for AM, CFM was able to consolidate 18 different components into a single part. Moreover, the redesign has been estimated to reduce fuel costs and, therefore, CO2 emissions by 15 percent. Though the first LEAP engines are only just now being delivered to their first customer, they have already become GE Aviation’s best selling engine, with more than 6,000 confirmed orders from 20 countries, valued at more than $78 billion (U.S. list price). If this same potential can be achieved by redesigning legacy parts or creating entirely new designs for metal 3D printing, it’s possible to bring entirely new levels of innovation across industries. If that’s the case, then why doesn’t every manufacturer go out and purchase a metal 3D printer? ENGINEERING.com spoke with a number of specialists in the field to determine what it is that is holding back metal 3D printing. More importantly, these experts are all working on overcoming these obstacles in their own ways, potentially speeding up the widespread adoption of metal AM worldwide. Before printing can even begin, the engineer or designer usually has to craft the CAD model specifically for the AM process that will be utilized. For instance, with powder bed processes, support structures must be incorporated into the design in order to prevent residual stress caused by the build up of subsequent layers from warping the end part. Therefore, the object must be oriented in a particular way within the print bed to minimize the number of supports and stress, which may severely limit the design options. Preparing a model for printing may see several iterations of an object printed at various orientations before the part comes out of the machine within design specifications. In the case that a design needs to be shifted over to a different machine type, this may have to be performed all over again, given changes in size, energy type and more. This trial-and-error approach means wasted time, material and money. For this reason, 3DSIM, a spinoff from the University of Louisville, is currently beta testing software to allow for a simulation approach over a purely empirical approach to preparing objects for printing. After roughly eight years of research, Brent Stucker, co-founder and CEO of 3DSIM, has begun commercializing physics-based simulation technology for metal 3D printing. At the moment, this commercialization comes in the form of two programs, exaSIM and FLEX. While exaSIM is directed more towards machine operators and generating a print preview for the optimal placement of support structures, FLEX is for the research and development of new materials or parts for metal 3D printing. Both programs, however, rely on the same advanced mathematics and physical principles, which 3DSIM suggests would require 5.7 x 1018 years to solve on a 16-teraflop computer without their software. Chris Robinson, director of application engineering at 3DSIM, elaborated on how these programs operate, saying, “We input material parameters for a particular material. We go in and calculate a temperature prediction for what’s happening as the laser interacts with the powder at every scan vector at every layer of the part. Then, we can go in and calculate shrinkage, distortion, stress, microstructure, porosity, surface roughness and other calculations.” Robinson further explained that calculations are based off of the chemical makeup of a powder, at what point the material solidifies, how much laser energy it absorbs, how much it reflects, and in which direction the energy is reflected. This information can then be used with exaSIM to generate the optimal orientation and support structures for a print to minimize errors. With FLEX, new material chemistries can be simulated, rather than created in small batches and tested in the physical world on actual machines. Validating parts is made that much easier as well, as they can be simulated before being manufactured. 3DSIM is tackling the issue of material properties in terms of the physical environment of the print chamber, but what if you don’t even know what material to choose? Or what machine to print something on? 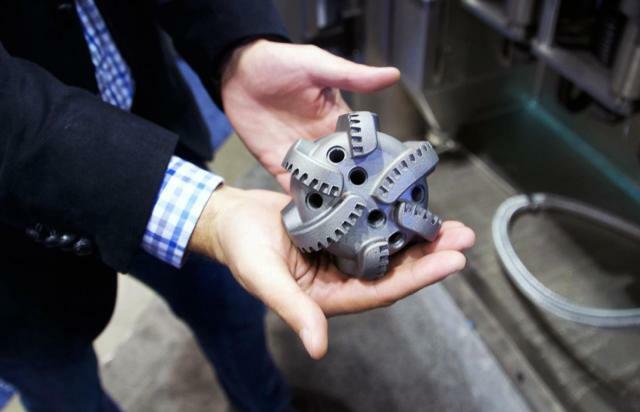 According to Zach Simkin, co-president of Senvol alongside Annie Wang, the lack of data regarding AM may prevent traditional manufacturers from adopting 3D printing in their operations. As Simkin elaborated, “Organizations don’t have a full understanding of how materials are going to perform. They don’t have a full understanding of repeatability. There’s a lot of variability from machine to machine, from operator to operator.” Generating that data, then, is part of a larger barrier to understanding the diverse variables involved in AM. Simkin and Wang started Senvol as a means of providing this data, establishing the Senvol Database with over 1,300 different machines and materials for AM that can be searched by a wide variety of parameters. Through a new partnership with material intelligence company Granta Design, users of Granta software can now match Senvol’s material data for 3D printing to Granta’s material data. 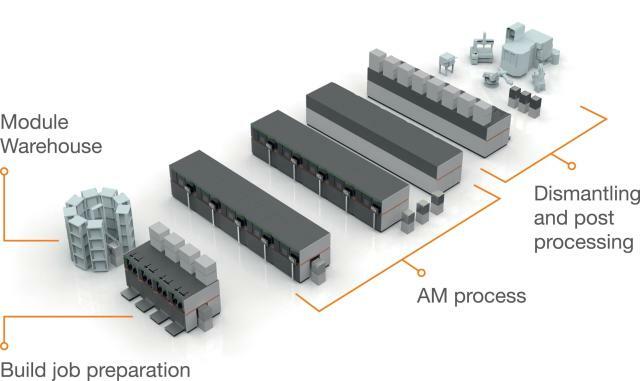 Metal AM is far from an automated process. The advanced training that machine operators may receive to handle such complicated equipment may be seen as an advantage when it comes to education and expanding human knowledge. However, the labor required to manage those machines could be holding some manufacturers back from adopting metal AM as a mass-production technology. At the “formnext powered by TCT” show in October 2015, Concept Laser unveiled its plans for what it calls the AM Factory of Tomorrow, a modular platform for automating metal 3D printing as much as possible. In addition to the module that performs the actual printing, the company is developing a station for automatically loading metal powders into the print area and a station for removing the print from the bed and retrieving unused powder. These systems will go into production at the end of 2016, with delivery anticipated in early 2017. This is only the beginning for the AM Factory of Tomorrow, however. To create a fully automated 3D printing factory, part manufacturers would conceivably store all of their powders in a specialized environment in their facility and make use of a robotic assistant that would automatically carry the powder from this area to the printing room, delivering the material to the powder handling machine. Additionally, multiple 3D printers, powder handling stations and part removal modules would be lined up in such a way that excess powder might be delivered, through interior channels connecting all of these modules, to another machine for 3D printing. Other robotic assistants would also carry finished parts to post-processing stations, consisting of milling machines that would clean up the part. Concept Laser is currently working on introducing post-processing capabilities into a dedicated module next year. 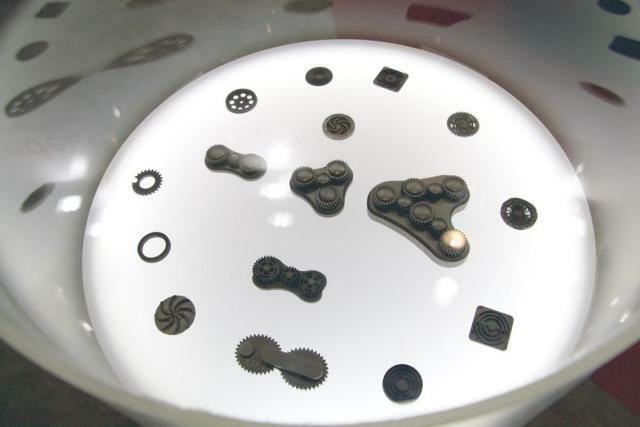 When metal AM parts are displayed at exhibitions and trade shows, passersby may wonder at the beautiful components and their complex shapes and moving parts. What may not be immediately evident is that these objects have gone through significant post-processing before they’ve hit the showroom floor. Depending on the 3D printing method, metal 3D-printed parts are heat treated to relieve stresses and then cut off of a print platform and closely refined with a CNC machine, which cuts away the rough surface finish and clears away channels. Additional actions like electro-polishing or tumbling might be implemented to further improve the overall finish of the component. Though companies like Matsuura and Sodick have introduced CNC capabilities into metal 3D printing systems to combine the benefits of both technologies and, ideally, streamline post-processing, a new firm out of Israel called XJet has developed a platform that may eliminate many of these additional steps altogether. Rather than use a laser beam to fuse metal powders, XJet’s novel technology relies on jetting nanoparticle inks and a support material to build up metal parts layer by layer. A heating element passes over each layer of a print, bonding the metal together, and once a print is complete, the object is placed into a conventional furnace for final sintering. At this point, the support material is entirely removed. Avi Cohen, markets development manager for XJet, explained in a recent interview with ENGINEERING.com that, because this support material burns out completely, part designers are not limited in the geometry of their designs. The aforementioned issues of orienting a part and placing proper support structures are no longer relevant. In turn, XJet’s NanoParticle Jetting (NPJ) process can produce moving metal parts in a single print. The fine resolution of the technology, due to the submicron size of the metal particles involved, also eliminates the need for further refinement of an object after printing. The company will begin taking orders for their machines at the beginning of 2017, and if the technology lives up to its promises, NPJ will likely produce metal parts with the finest resolution and surface finish in the industry. The NPJ process may be capable of bypassing many of the post-processing steps required by other metal 3D printing technologies. Cohen, however, was also quick to highlight the safety issues associated with metal AM, which he sees as one of the barriers to widespread adoption. With powder bed processes, machine operators are required to deal with reactive metal powders that can start fires or cause irritation to the skin, lungs or gastrointestinal system. For this reason, they wear gloves and respirators or handle the material through a sealed chamber. XJet believes their technology to be safer, as the nanoparticle ink is stored in cartridges so that a machine operator never has to handle reactive powders. Albeit, not every part manufacturer will be purchasing a system from XJet. To ensure that manufacturers, operators and facilities meet certain standards, the oldest company in the safety and certification game has entered the 3D printing space. Established in 1894, UL has made its logo synonymous with the safety certification of just about every modern piece of technology. In addition to providing testing, certification and consultations, UL also trains professionals on the safe use of AM equipment through the UL Additive Manufacturing Competency Center (AMCC) in Louisville, Ky.
Paul Bates, general manager of UL AMCC Services, described how they’ve carried over their track record of training and certification to the world of AM, saying, “One of the key aspects of certifying products is the question of who made it? And did they know what they were doing? When it comes to a part that is made through a welding process, the welder of that part will have a welding certification. And that’s something that follows that product through its manufacturing process.” Bates explained that, as UL establishes its presence in the 3D printing industry, they are applying a similar approach to AM. The operator of the equipment will be certified, having proven their skill and consistency in running a machine. That way, it will be possible to trace and track the quality of 3D-printed parts. Bates added that, given the relative newness of AM, not many individuals have been formally trained in the use of the technology in a way that is trackable or certified, which may make it more difficult to implement widespread adoption. For that reason, the company provides training programs at the UL AMCC in the United States and at the Global Additive Manufacturing Center of Excellence in Singapore. The most obvious obstacle to the widespread adoption of metal 3D printing is cost. Every industrial metal 3D printer costs upwards of $100,000, and the materials with which they print are more expensive than metals typically used in manufacturing, due to the fact that they are often atomized into a fine dust with, ideally, spherical dimensions. Unless a business has the cash to invest in a technology that may be completely new to them, train or hire staff to operate the machines and set up the infrastructure to support these systems, they may be hesitant to jump into metal AM. By the way, if your business needs immediate cash, you could try these out “same day loans”. loanlingo.co.uk offer this, and by filling out one of their simple online forms, they will be able to determine exactly which kind of loan will suit your needs. Metal 3D printer manufacturers are well aware of the cost factor associated with their technology. In order to accelerate the adoption of metal 3D printing, they’re taking various steps to make metal AM systems more attractive to invest in. Britain’s Renishaw has developed a very straightforward approach to introducing their printers to businesses, yet it is one that seems less prevalent in the industry. 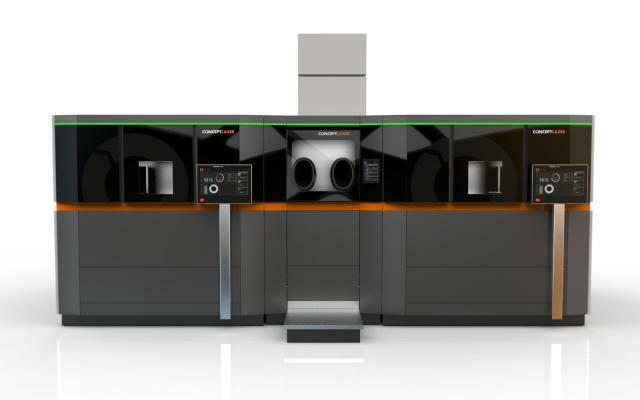 Peter Kootstra, a service and support engineer for Renishaw, explained that the company leverages its worldwide Additive Manufacturing Solution Centres, which feature machines in-house. As Kootstra said, “Companies can come to us, spend time with an applications engineer, look at a part and maybe redesign it specifically for AM. We can then let them rent some time on a machine. They can prove out the process, find some use out of metal AM and ultimately see the value in it. From there, it’s a lot easier to make a case for that initial investment.” The hands-on experience will provide evidence for how a new method for manufacturing a part might save money over the long run. Concept Laser may still be developing its modules for the AM Factory of Tomorrow, but Additive Industries, a newcomer to the space, has already developed beta units for its highly automated MetalFAB1 3D printer and aims to deliver series production units at the end of the year. The company is attempting to make the upfront investment in metal AM more attractive by increasing the productivity of their machines. Every step of the process, from introducing the powder to printing, cleaning and heat treating the part and finally removing it from the print bed has all been automated through individual modules. More than that, while all of this post-processing is taking place, a new print task can be initiated. Additive Industries CEO Daan Kersten suggested that the most expensive parts of the system, the lasers and the optical components, operate continuously, ensuring optimal productivity. These are just some of the obstacles to the widespread adoption of metal 3D printing. It’s obvious from these interviews, though, that those obstacles may not last for long. By this time next year, it may not be likely that we will have automated 3D printing robots that are safe and produce perfect parts straight out of the print bed. However, five years from now is another story altogether. Canada Makes is proud to announce that Ptooling is now a Leadership Level Member. This level of membership affords Ptooling a seat on Canada Makes’ Additive Manufacturing Advisory Board (AMAB) and we look forward to having Ptooling’s expertise to help guide Canada’s additive manufacturing sector in becoming world class. Learn more about the fascinating new DMG MORI Lasertec 65 3D. Canada Makes is hosting an open house event showcasing Ptooling’s new DMG MORI Lasertec 65 3D, the first North American instillation of this new technology. Learn more about the event here. Ptooling specializes in oil-field component manufacturing. Thread milling and oblique, or offset, features (those off the part’s main centerline axis) are routine for the shop, which has five Mori Seiki turning centers. PTooling’s machines feature live tooling, full Y-axis control and a capacity of 3.6 ” in diameter through the spindle as well as DMG MORI Lasertec 65 3D. OTTAWA – Canada Makes is proud to announce the launch of its Metal Additive Process Guide. Easy to use, interactive with concise information, this guide is designed to assist small and medium sized enterprises (SMEs) in adopting metal additive manufacturing (AM) to their process. During the delivery of Canada Makes’ IRAP-NRC Metal AM Demonstration Program many of the participating SMEs shared common questions and concerns. Using this knowledge Canada Makes built the Metal Additive Process Guide to help answer questions and teach SMEs about this rapidly emerging sector. “SMEs need to be innovative to stay competitive and this program and the guide de-risks the first try at metal additive manufacturing,” said Lavoie. Canada Makes looks to continue to partner with IRAP-NRC to develop additional tools that will help expand the knowledge base for Canada’s manufacturing sector. Canadian Manufacturers & Exporters (CME) is partnering with NRC-IRAP Materials and Manufacturing Sector Team (MMST) to deliver the Metal AM Demonstration Program. The goal of this program is to help Canadian companies determine the feasibility of integrating metal additive manufacturing processes to their current applications. 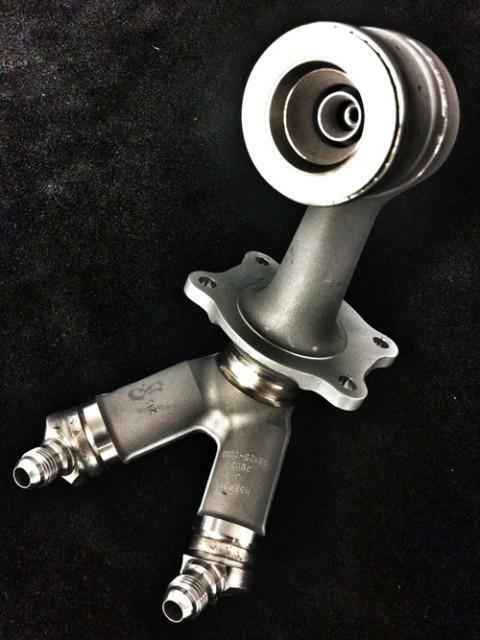 The program offers funding for eligible companies to receive metal 3D printed a sample part. Note: This guide only covers the laser powder-bed process and no other metal AM technologies, which are currently available such as Electron Beam melting (EBM) process. Canada Makes, in partnership with NRC-IRAP, successfully completed the program Metal Additive Manufacturing (AM) Demonstration Projects. This Canada Makes led project assisted 18 small- to medium-sized (SME) companies in increasing their understanding of the advantages of the metal laser additive manufacturing (AM) technology. This program provided companies with a better understanding of the advantages and business opportunities both in terms of cost savings and efficiency of adopting AM technology and processes, as well as introducing never before considered options to their clients. A working group of metal AM service providers from across Canada, comprising both private and academic institutions, was created to assist in delivering this program. The group comprised the following: Nova Scotia Community College (NSCC), FusiA in Quebec, Mohawk College’s Advanced Manufacturing Centre in Hamilton, Burloak Technologies Inc., Renishaw Canada, NRC-London and the Northern Alberta Institute of Technology (NAIT) in Edmonton. Participating companies would choose an item/tool they thought would be a good candidate for metal 3D printing and then submit both a CAD file and a short summary of their requirements. Once a review of the submission was completed, a meeting to discuss its feasibility was held. One overriding consideration during the review process is if the candidate item is economically viable for metal AM. Sometimes a part may seem like a good fit for AM but is actually better suited for traditional manufacturing methods.